Today, I joined with other Nigerians to celebrate the success of Nigeria’s u-17 team, at the just concluded u-17 World Cup in Chile. On the way to the finals, ‘our boys’ recorded great victories – most notably the defeat of perennial heavyweights: Brazil. 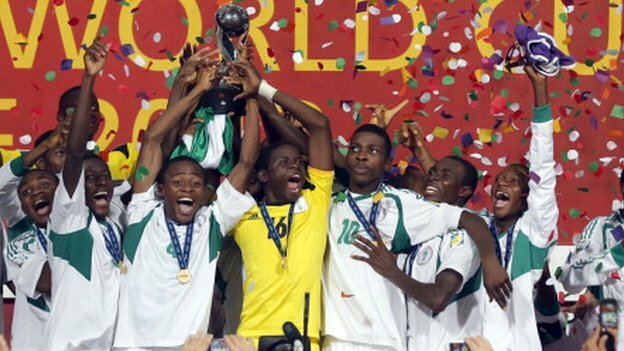 Our boys did us proud, their scintillating football, warming them into the hearts of every Nigerian. In context, their victory was not surprising. The u-17 team are the current defending champions. Indeed in my short life span, I have witnessed them win this competition three times, and appear in the final round one other time. Indeed, I have also experienced the u-20 team participate in the finals of their own age cadre and finally, in the Olympic Games, I have witnessed the u-23 team succeed at the Atlanta ’96 Olympics and appear in the final rounds in Beijing ‘08. With this precedence, one must assume that the Nigerian team is a world footballing powerhouse, right? Wrong. Sadly, on the senior stage, we have not been able to replicate these successes. Several of the young starlets who steal our hearts on the youth stage are also not promoted on to the senior teams, at times their careers ended before it even fully begins. In essence, this piece begs us to think deeply. In our personal businesses and start-ups, we should never settle for half-baked success. We should never settle for the applause on the way to our final destination, when the destination is not in sight. As we see with the Super-Eagles, settling beforehand might prevent the true success. Instead, although we should celebrate our successes, they should make us hunger for more. 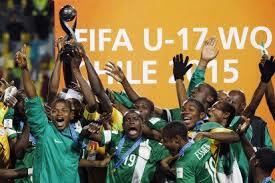 To the Golden Eaglets, super congratulations. As a Nigerian, I am proud of you. However, let us individually not make the same mistake of the Nigerian Football Federation by failing to replicate these successes, when they most matter. With our personal businesses and start-ups, it is important that we build on momentum until all goals are achieved, so our lamentation shan’t be that of the super eagles, who reminisce about glory days confined to the age grade levels.